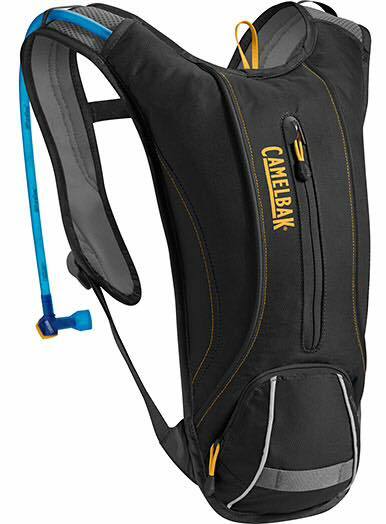 Everyone must have a Camelbak water pack to bring with you on the first day of band camp and to every marching band rehearsal there on. You can find these in the camping section of Wal-Mart for about $20-$30. There will be minimal water breaks during rehearsals because every student’s Camelbak will provide adequate hydration for a long period of time. There is a photo of a version of the Camelbak hydration pack attached below. The Qzar outing is scheduled for August 8th and we would really love to see all old and new members there… As well as some fun band parents! (Which all of you are!) It’ll be a great time and you even might have the chance to shoot Ms. Conte with a laser gun!! Forms need to be turned in ASAP! The collection will be started on the first day of band camp and will be accepted NO LATER than August 28th. The list of forms needed to be turned in can be found in the Charms handout section under the file name “Forms Checklist 2015”. All forms listed are available on the handout section of Charms. Again, as a courtesy to Ms. Conte’s sanity, PLEASE TURN THESE IN AS SOON AS POSSIBLE! We do not want to hunt you down. Everyone needs to RSVP through Charms and have paid for band camp by August 1st. This is BY TOMORROW!! If you have any questions on how to RSVP or pay please email our Booster President, Ann Adair at annadair@gmail.com. Every student is required to bring in a case (or as many cases as you want) of water to donate for the marching band season. We need to keep our band and volunteers hydrated during games so please bring in your case as soon as possible! This season is going to be awesome guys! Let’s get off to a great start by checking all of these things off of our lists! ROCK ON! NOTE FROM MS. CONTE: The Qzar event is a great opportunity for band members to gather and reconnect. It is also our first mixer with our new members. Apparently many do not have FB, so I am concerned they won’t know how important this event is for them. Please spread the word. Also, whichever section has the highest number in attendance will be graced with me on their team…you know the one that WINS! There will be no mercy, no one will be spared! Good morning MWB parents and students! Time to start getting everything ready for the new year – and that includes FORMS! You can now find all the REQUIRED FORMS for the new year in CHARMS as of today! Some of these forms must be NOTARIZED and, lucky us, our very own Booster President, Ann Adair, will be at the first day of BAND CAMP and able to notarize for us! So, go into CHARMS, go to HANDOUTS AND FILES, first print out FORMS CHECKLIST 2015, follow the list and print out all the rest of the forms on that list and BRING TO BAND CAMP! Also, for anyone wishing to volunteer, the required Serve Form for Hillsborough County is there for parents to print, complete and Ann can notarize for you as well. See how organized we are?? Let’s start out this new year ahead of the game – BRING YOUR FORMS TO BAND CAMP!! Our upcoming band camp is swiftly approaching and with that comes some volunteer needs! We are in need of some loving, giving parents to help with the most important part of their day – LUNCH! Volunteers will need to be there from 11am to 1pm. Our volunteer coordinator, Ivana Vergara, has already placed the needed spots into Charms (and if you haven’t set up your Charms account, NOW is the time!). So, if you have the time available, we need you! She has also set up spots (ALREADY! yikes!) for our first game – so check those out as well! Get ready, set, GO! Any questions on how and where to volunteer, feel free to contact her at ivana.realtor@gmail.com or her cell phone number is 813-767-1715. Greetings and welcome to the Steinbrenner High School Band Program! We are so happy to have you join us! It is critical that you set up your account in Charms so we can contact you and your parents with the latest information about band activities. You should change your password right away to something you can remember and is secure. It is advisable to include a capital letter, a number, and a symbol in your new password. After changing your password, go to Personal Information. It is critical that this information is accurate. We need you to enter/confirm your home mailing address, phone numbers, email address, and add at least one of your adults to your account using the Add Adult button. This is how we communicate with you and your family effectively. Feel free to take a tour of Charms and check out the calendar, forms, finances, and anything else that catches your eye. You will need to visit the Finances area to pay for band camp ($60) and any other fees associated with your participation in band. Staying on top of this helps us to meet our budget and pay for expenses the band needs to operate. If you have any issues getting into Charms, please contact Ann Adair at president@steinbrennerband.com and I will get you situated!